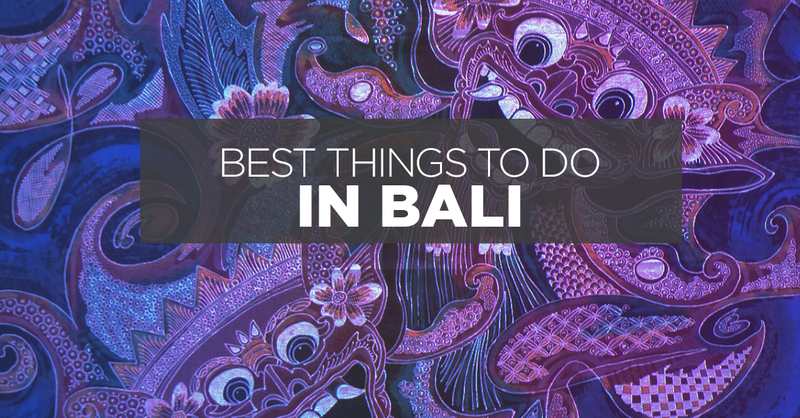 Home > Travel > Things To Do In Bali: Fun For Every Kind of Traveller! You’re about to embark on your Bali tour but have no idea where to begin. All you’ve heard about things to do in Bali are the typical stuff about sand, sun and fun, but you’re looking to go beyond the typical tourist fare. Here’s a guide to help you out – these are the top things to do in Bali to fully embrace everything the Indonesian island has to offer! 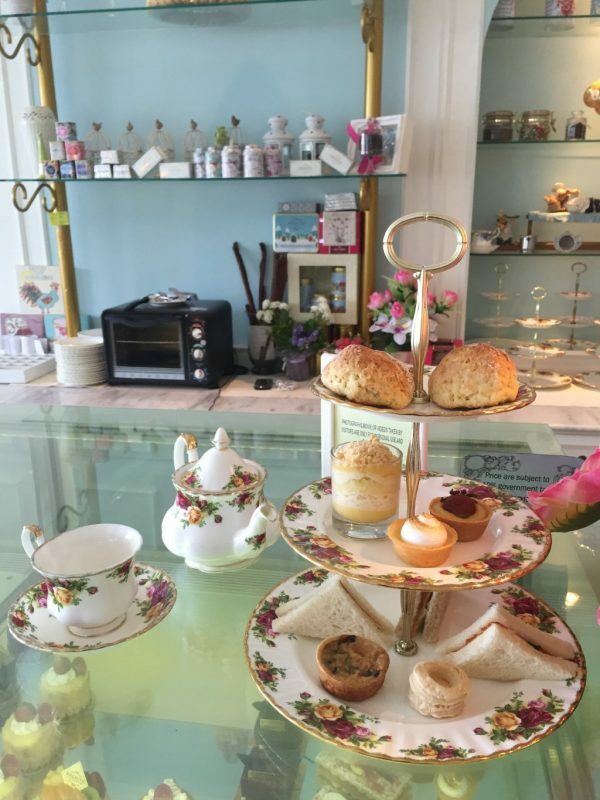 A trendy cafe with a wide spread of desserts and brunches to choose from, from fruit tarts to eggs benedict. Its pastel blue and whitewashed interiors are a hit for many Bali tourists! A quaint place with a wide range of food, it offers healthy options like quinoa to sinful burgers and tacos. Sea Circus’ great murals make it one of the best places of interest in Bali for aesthetic bloggers. This cafe boasts a large range of all day breakfasts to suit your palate. 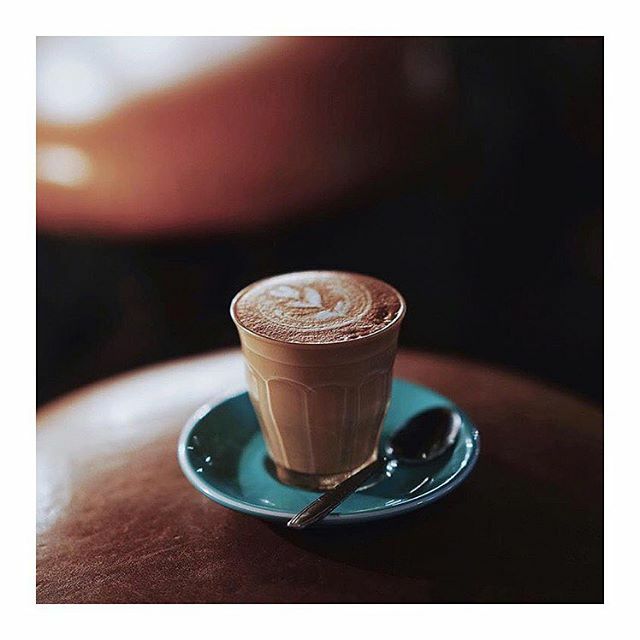 Its burgers, sliders, tea and – of course – coffee are also great hits with its customers. Bali is known for boasting some amazing Indonesian food and if you’re a foodie you’d be absolutely spoilt for choice. 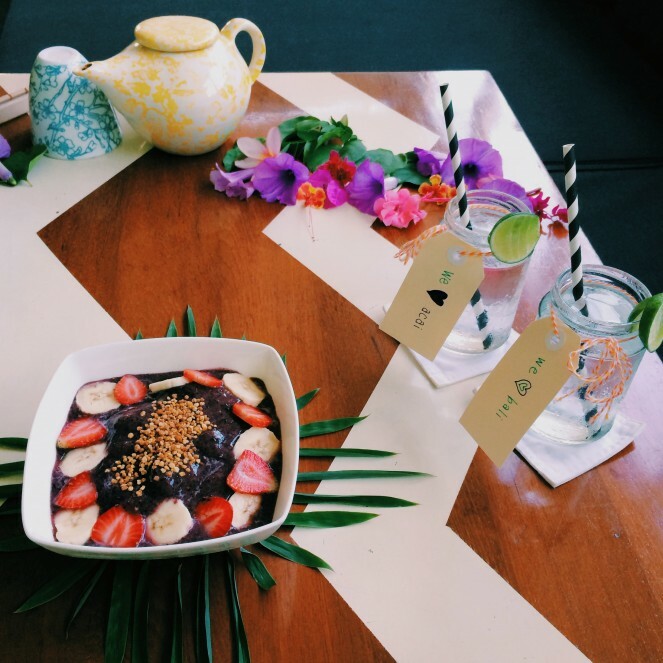 Here are some of the most highly-recommended food places in Bali! 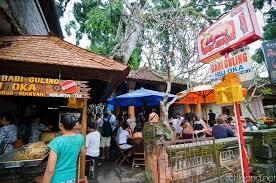 Made’s Warung is one of the most popular food places in Bali and rightly so. 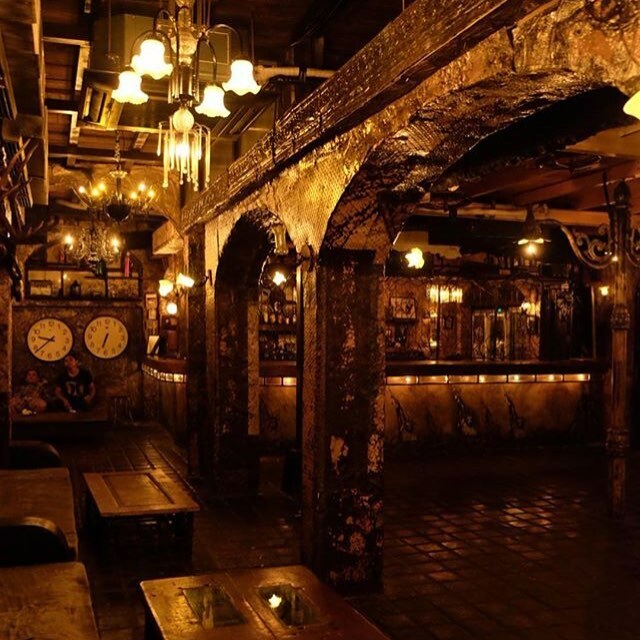 Other than the tranquil ambience, it serves amazing local and international cuisine that ranges from Indonesian food to Western and Japanese food. If you’re lucky, you’d even be able to catch the weekly traditional Balinese dance performances. For the best Babi Guling in Indonesia, Warung Babi Guling Ibu Oka 3 is recommended by tourists and locals alike. It’s Babi Guling is served crispy with a generous serving of pork skin. 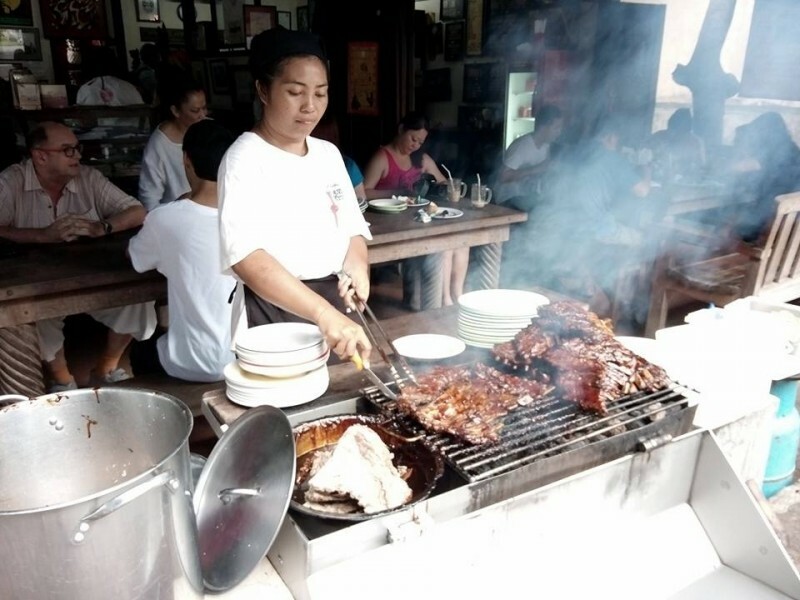 This place is famed for their amazing pork ribs in Bali, sometimes even touted the best! Dig in for some sweet and sticky pork ribs! Since 2012, Pomegranate has been bringing its diners closer to nature by situating them amidst endless paddy fields. Don’t forget a handy flashlight if you’re heading over in the evening! Get swept off your feet by the hundred candles on display along the river as you dine at dusk. 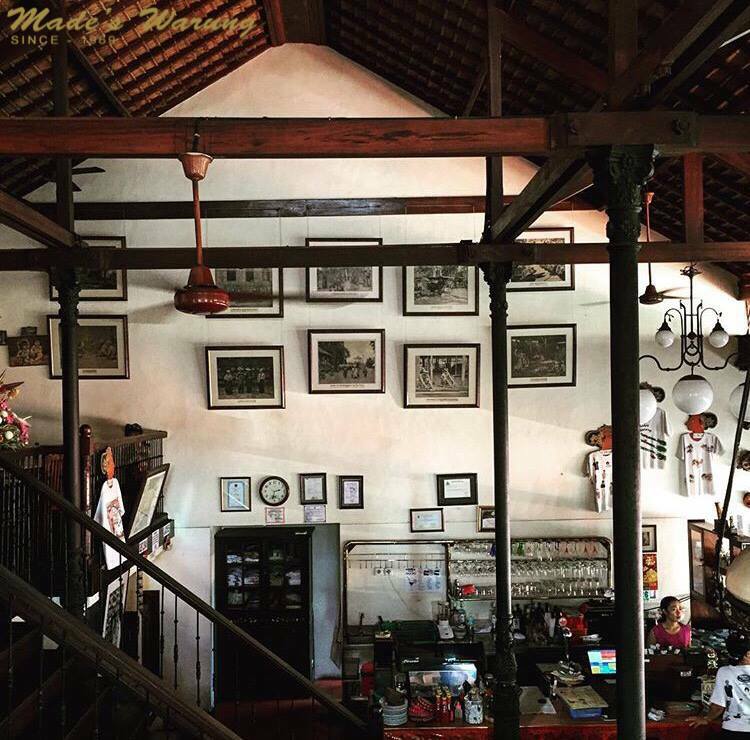 This picturesque scene makes the restaurant one of the great points of interest in Bali. Cosmic Diner has much in store for your taste buds. 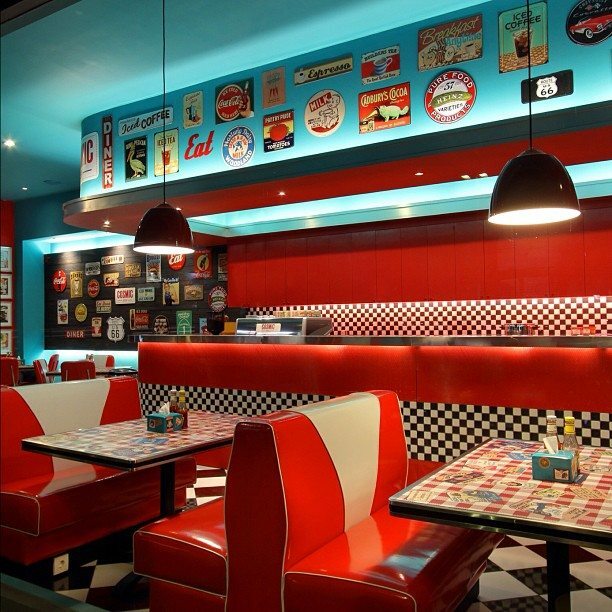 Round off your meal of burgers, pastas and other mains with pancakes or waffles with absolutely sinful toppings. Triple chocolate, anyone? 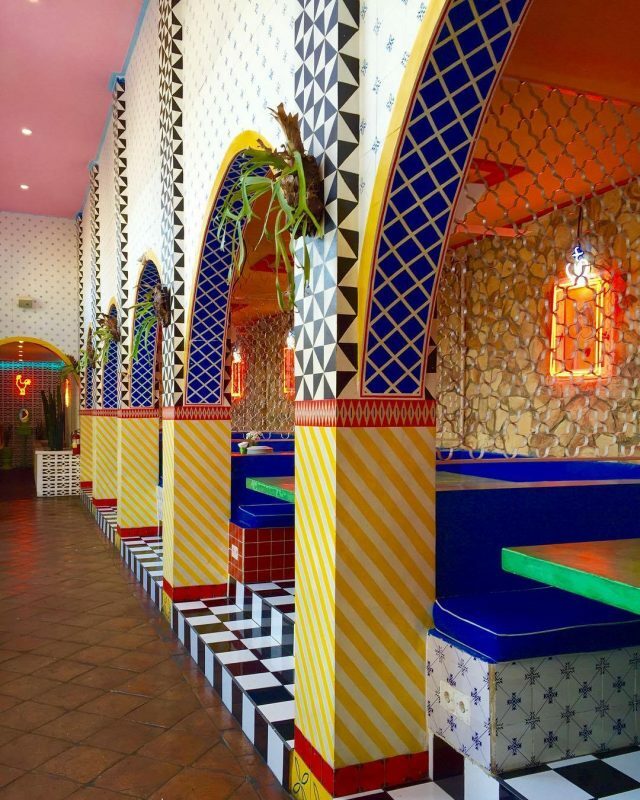 As its name suggests, hit up Motel Mexicola to satisfy any Mexican food cravings. Quesadillas, creviches and tostada may sound like a mouthful, but you’ll soon be craving for a mouthful of these dishes. If you’re oddly in the mood for Mediterranean food, La Favela’s one of the best places in Bali for that. Apart from an extensive bar menu, their main courses are also to die for, be they from the garden or bakery. 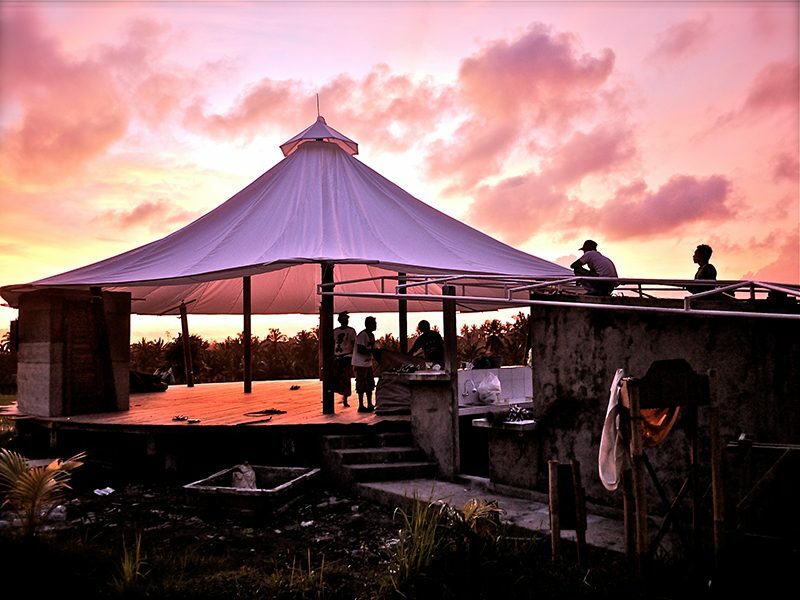 Clubbing activities in Bali are everywhere, but how often do you come across a club whose entrance is a show-stopper? Tip: visit in the day for family fun on its expansive field and in the pool. If the Potato Head Beach Club stood out for its eccentric exterior, the Mirror definitely shines through for its interior. 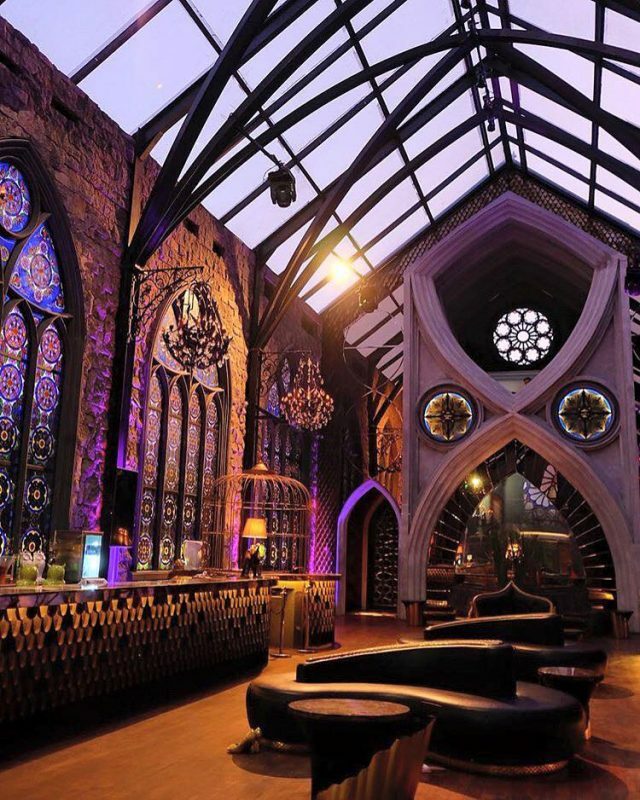 Complete your Bali trip with strobe lights, great music and an European Gothic flair. 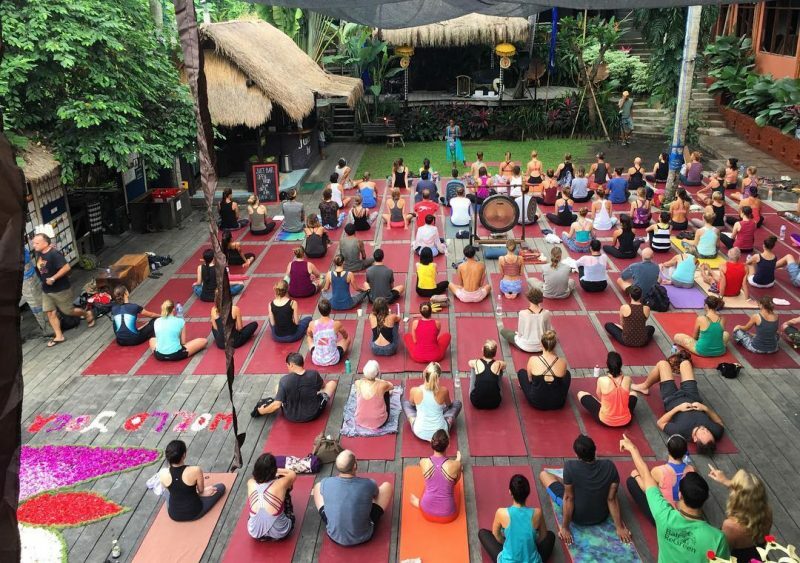 Get your bags packed right this instant because you’ve yet another yoga destination in Bali to seek out! Head over for a great day of classes, working out and unwinding with fellow yoga enthusiasts. 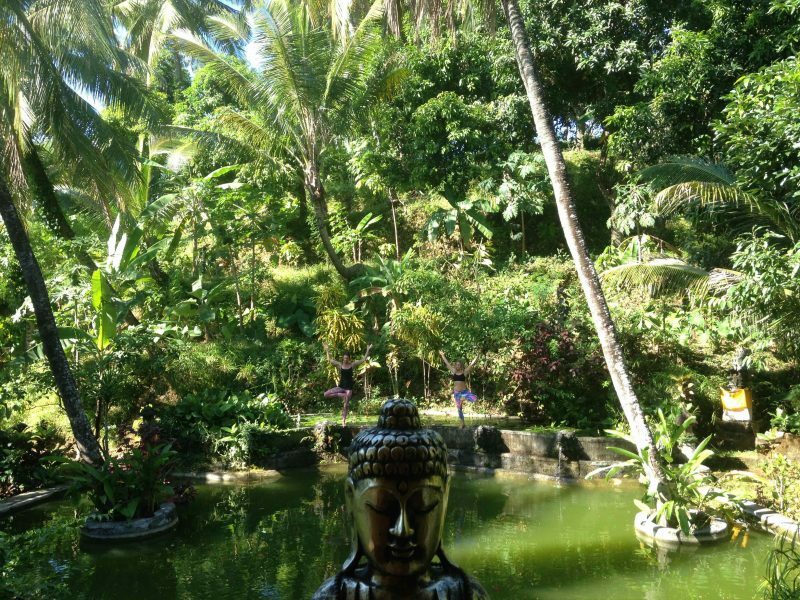 Join in on the Gaia-Oasis Abasan Mountain Retreat to refocus your energies as a yogi. Be surrounded by greenery and take in calming, serene atmosphere of nature. 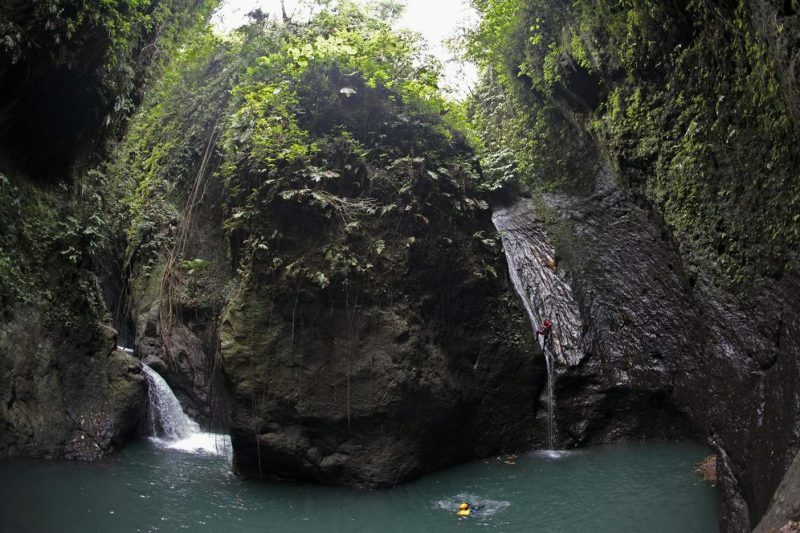 The Aling Gorges are beautiful natural formations that will astound any climber. Abseil down a cliff 40 metres in height and swim through a waterfall during your expedition. 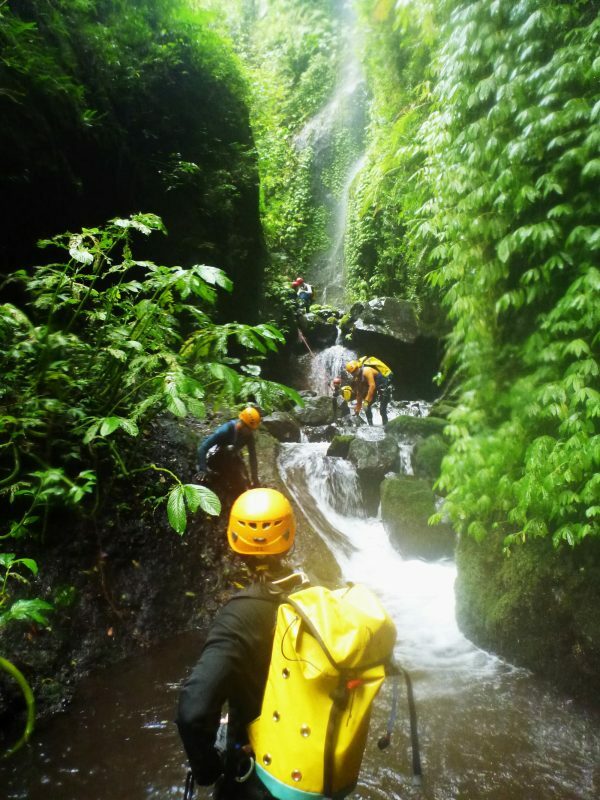 For another great canyoning experience, grab a few friends and try conquering Tamata together. Tamata is another great spot to immerse yourself amidst lush greenery and to push your body to the limit. 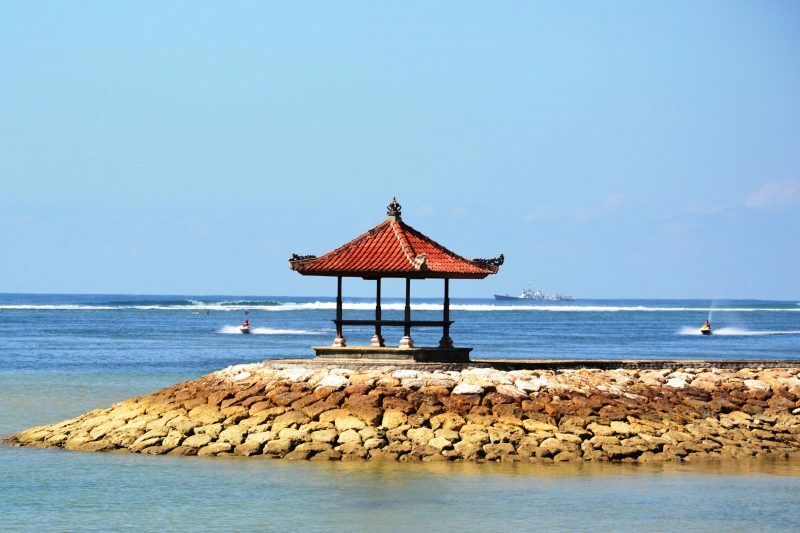 Tanjung Benoa is a great place if you’re looking for that adrenaline rush. 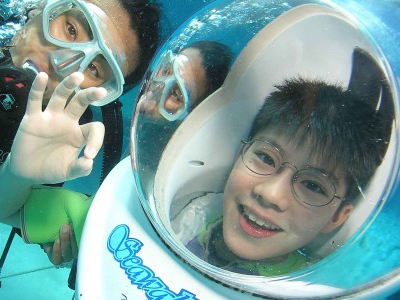 There’s something in store for the whole family here, from banana boats to parasailing and scuba diving. 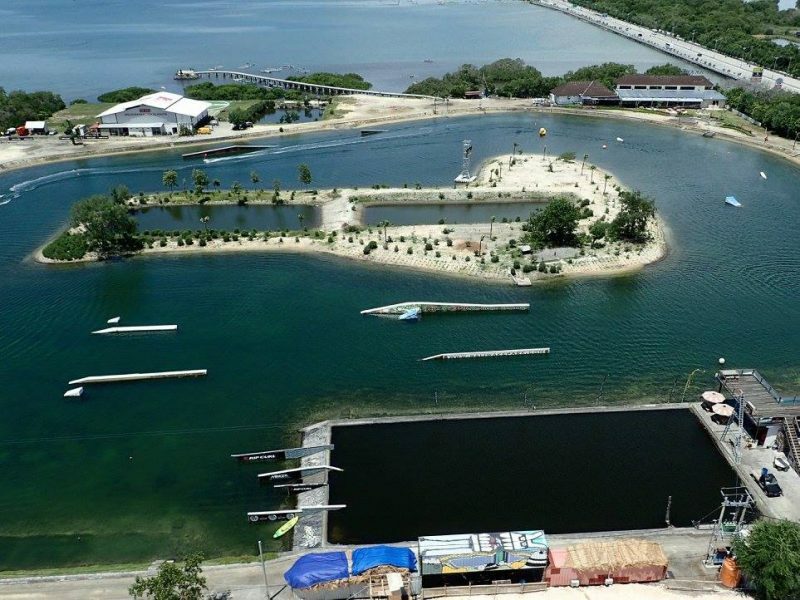 Visit the one and only Wake Park in Bali for a thrilling day of wakeboarding around the huge expanse of blue. You’ll be happy to know that equipment is available for both beginners and experts alike. Defying gravity is definitely wicked fun – there’s a reason why there’s an entire song about it. 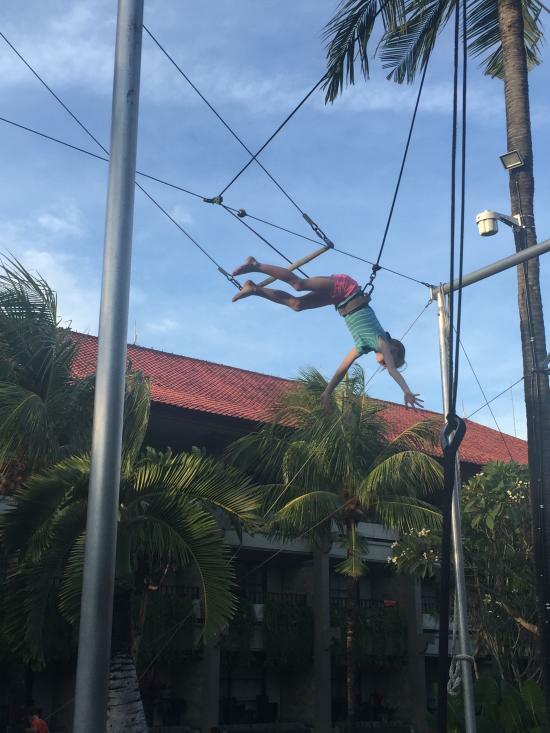 Get off your feet and pull off mid-air feats at one of High Flyer Trapeze School’s many classes. Since its completion in 2007, the Green School has been catering to students of kindergarten age to high schoolers. Do visit this marvel, made entirely out of bamboo with the expertise of local builders. Turtles are an endangered species, and continue to dwindle in numbers because of many reasons. 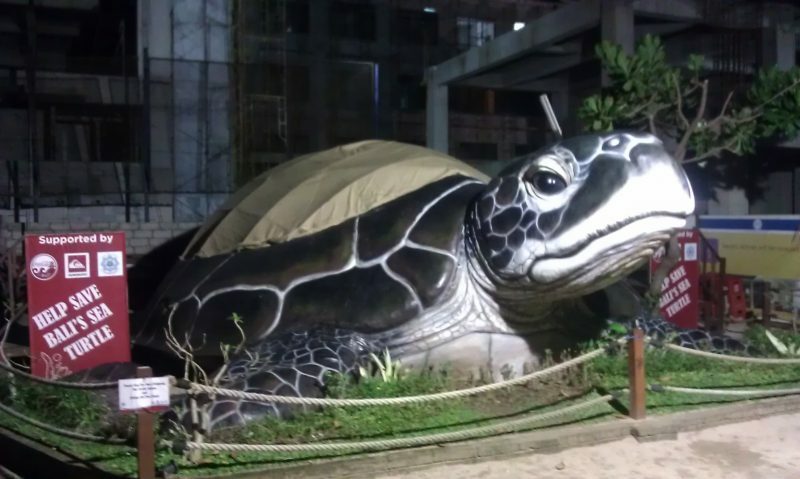 You can learn about and help them at the Turtle Conservation and Education Centre on your Bali tour. 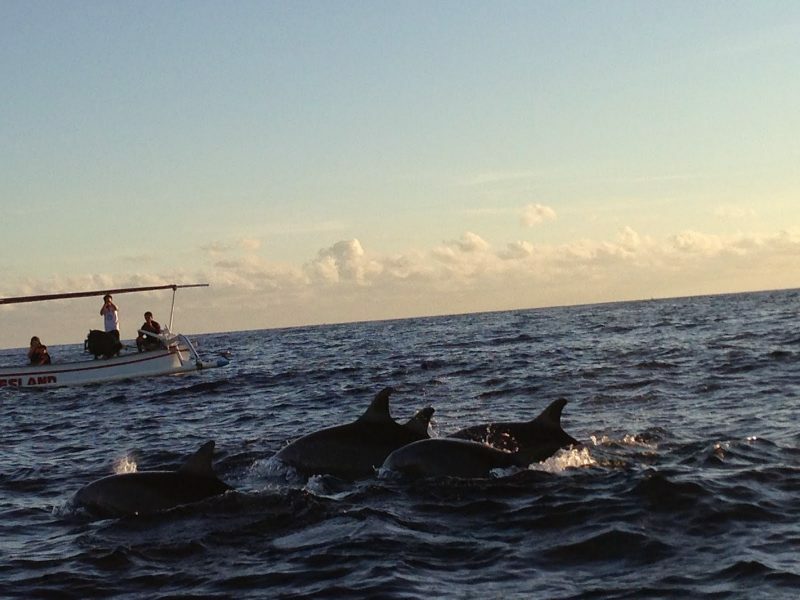 Ever wanted to take a cruise out into the open to catch the dolphins in action? 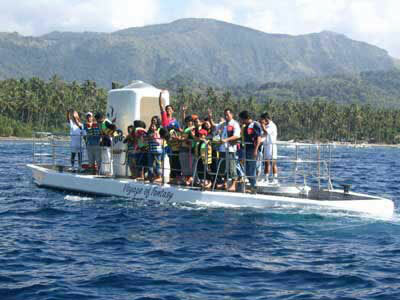 You can now do so at Lovina, one of the best places in Bali to get closer to wildlife and marine animals. 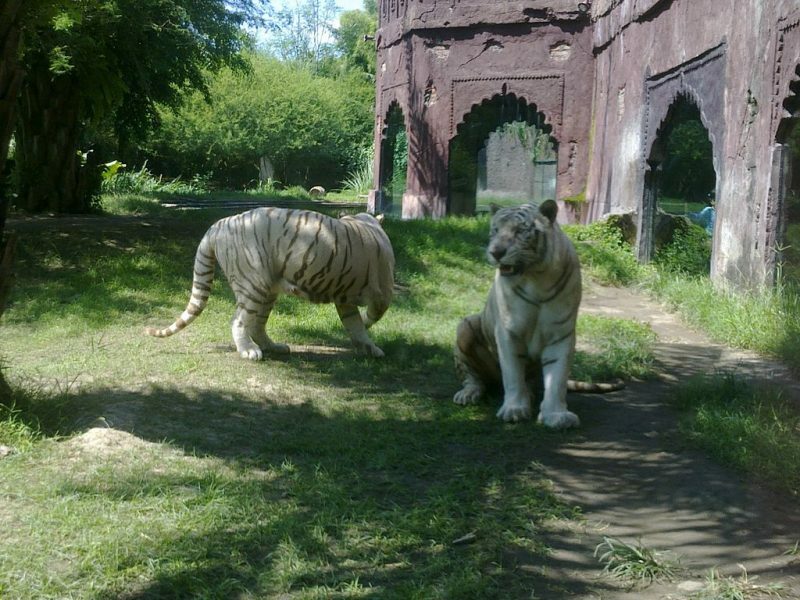 The Bali Safari and Marine Park allows visitors to experience and intimate encounter with its animals, with hippopotamuses and zebras right outside your room window! Check out and into the Mara River Safari Lodge on your next Bali trip! Mount Batur is an active volcano that’s 1717 metres above sea level, and you can typically reach its peak after a two-hour trek. 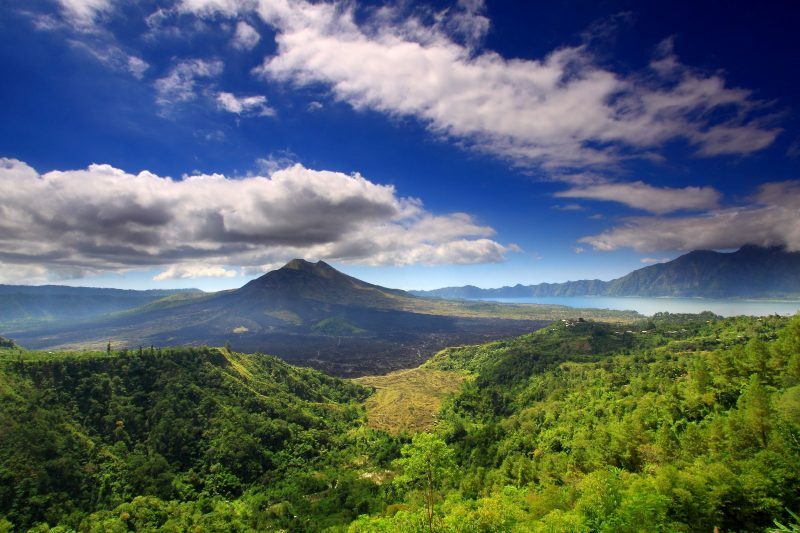 No Bali sightseeing expedition is complete without Mount Batur. It isn’t everyday that you board a submarine that allows you to get acquainted with sea creatures. The Odyssey allows you to do just that, making it one of the best things to do in Bali out at sea. If you’ve given up the dream of ever perfecting your moonwalk or actually walking on the moon, why not try sea walking at Sanur instead? The Sandat Glamping Tents is a great option for luxury campers. These tents can comfortably accommodate up to three adults and are equipped with state of the art facilities for your convenience. 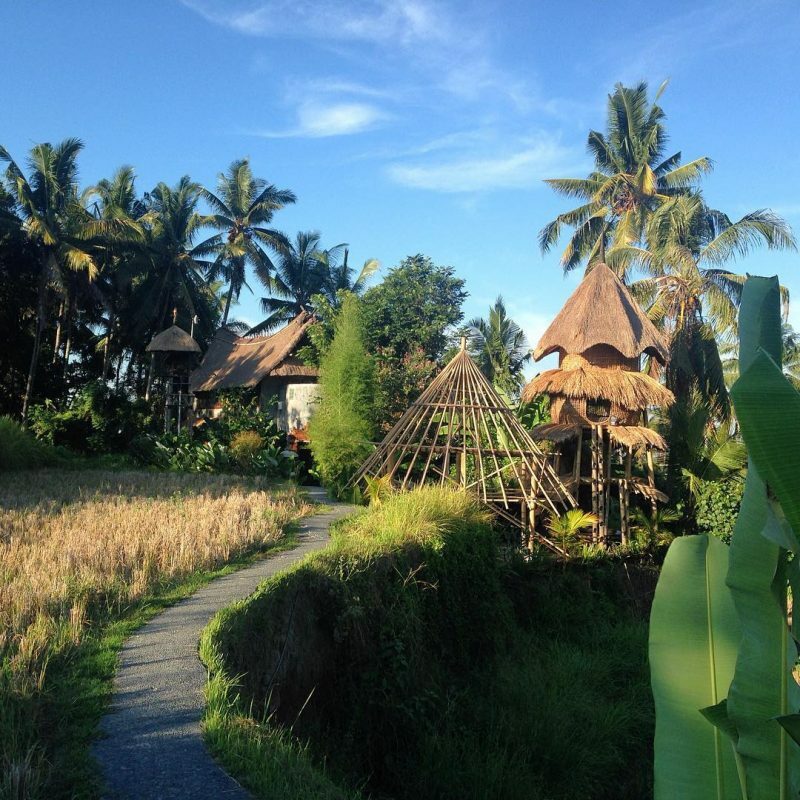 These quaint cottages are situated right in the middle of rice paddy fields, and made entirely out of bamboo. You can spot fireflies, geckos, even the occasional mouse or snake on its premises – talk about adventurous! Have you ever wanted to build your own treehouse, but never found the right place nor had the willpower to? It’s never too late to tick off one of the items off your bucket list the next time you’re in Bali. 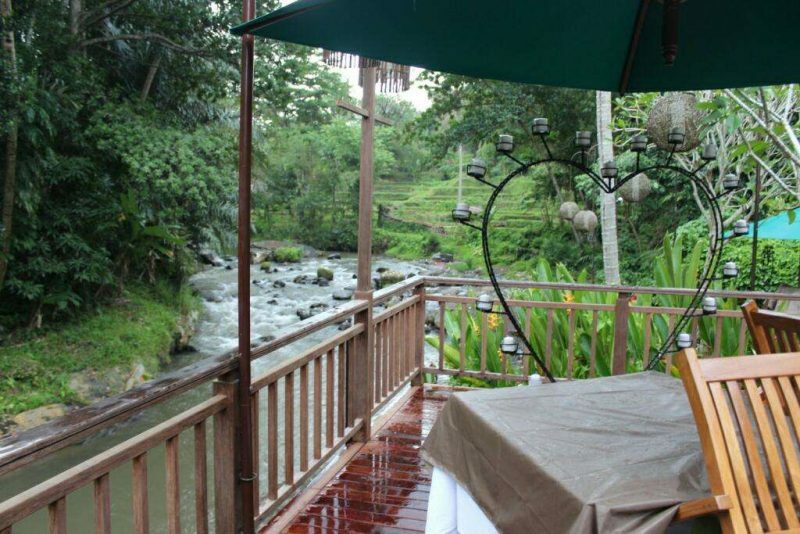 In Ubud, stay in one of the many treetop accommodations for a view like no other! 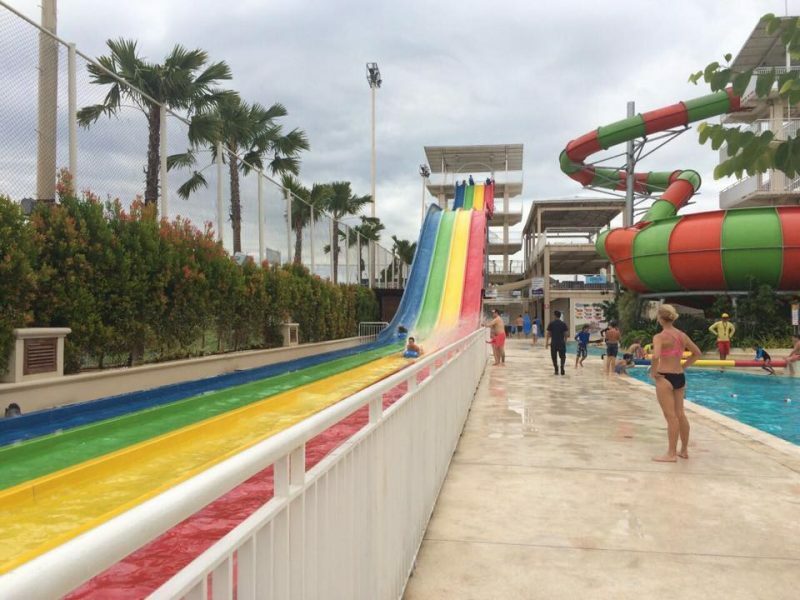 Splash Water Park has tons of fun in store for everyone. 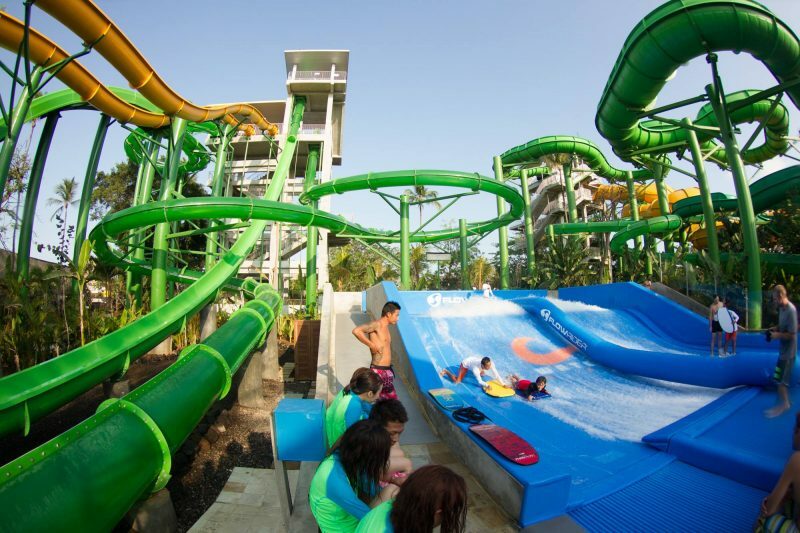 Conquer the Super Bowl, Big Red, Crazy Creek and even the Giant Racer, which is a 90 metre-long water slide for a splashing-good Bali trip. Listen up – Waterbom’s the third best waterpark in the world and ranked first in Asia by TripAdvisor in 2015! 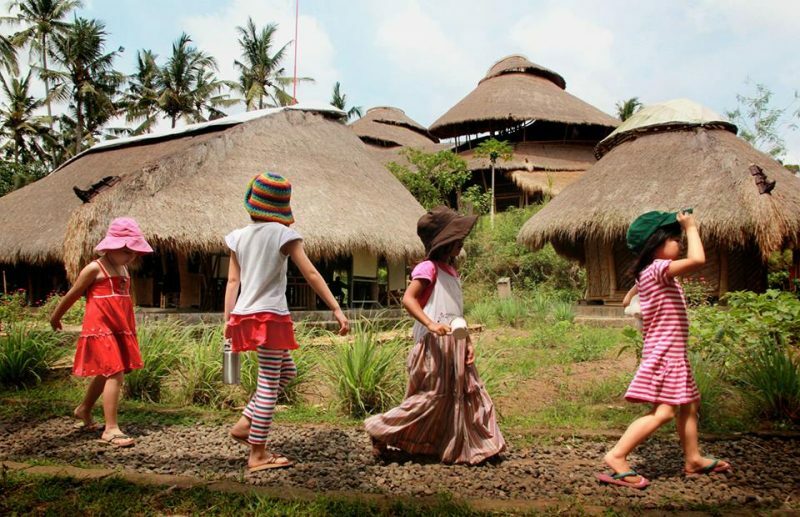 Don’t miss one of the best places in Bali for fun in the sun for the young and young-at-heart. Nobody knows how it got there, but one thing we know is that mysteries are just asking to be explored. 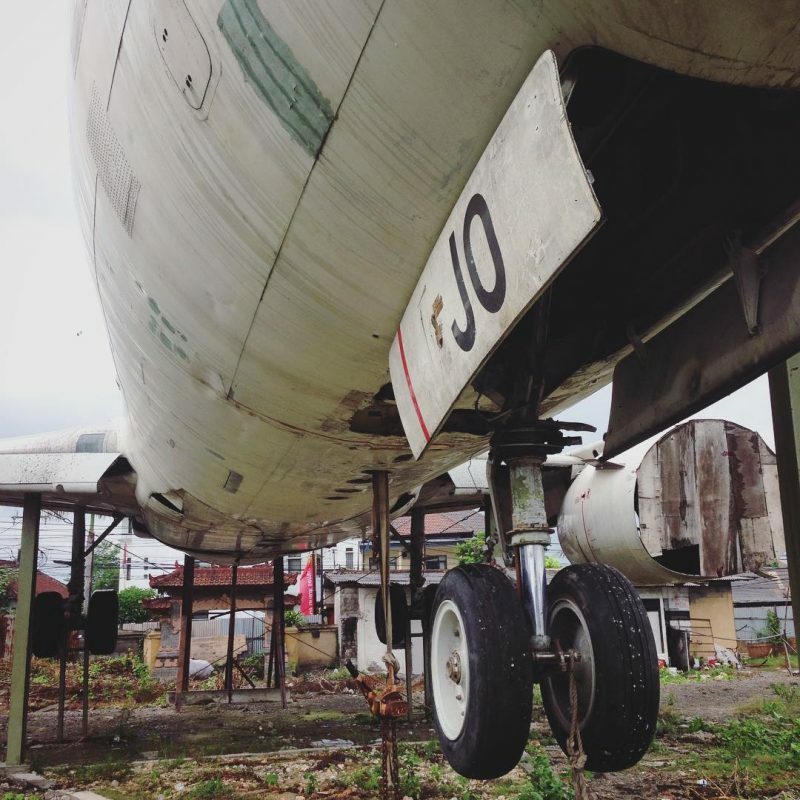 Set foot in this bizarre aircraft and take some eerie snaps to show off to your friends! Bali does seem to have an affinity for the mysterious! 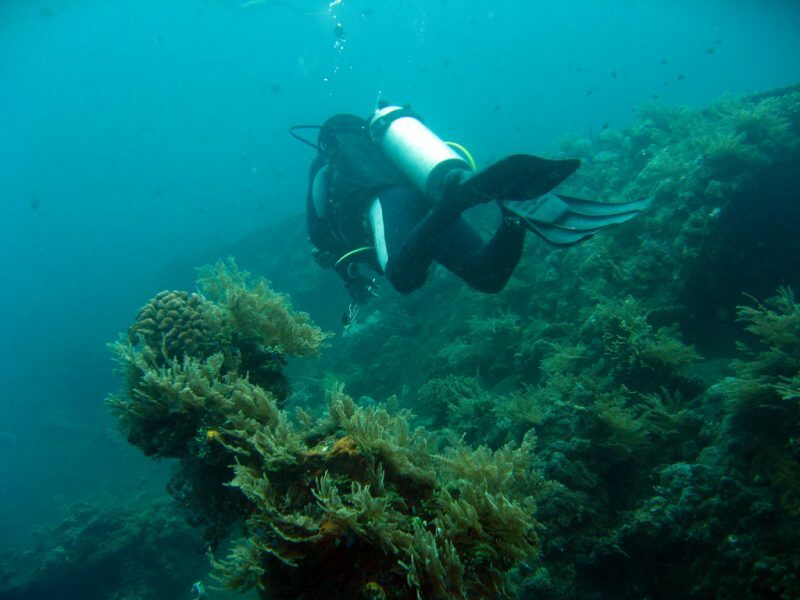 Sate your curiosity and need for adventure by exploring the previously-elusive shipwreck in Tulamben. There are several places to get acquainted with traditional Balinese cuisine. 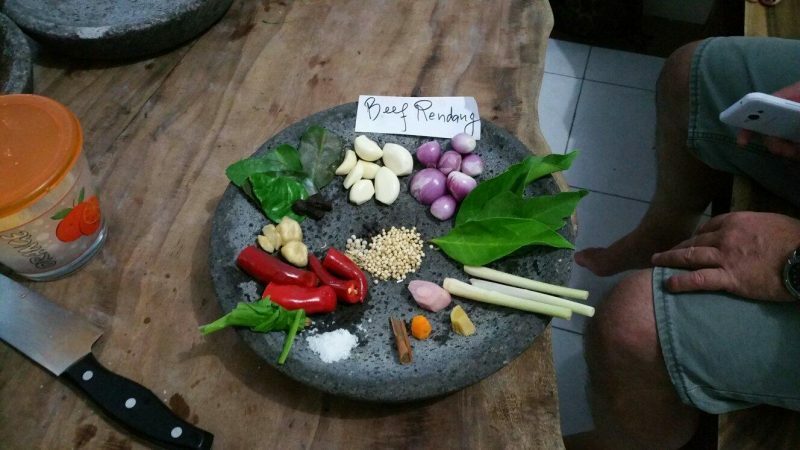 Maria’s and Anita’s Cooking Classes are great ways to learn more about Indonesian food – and to try some for yourself! 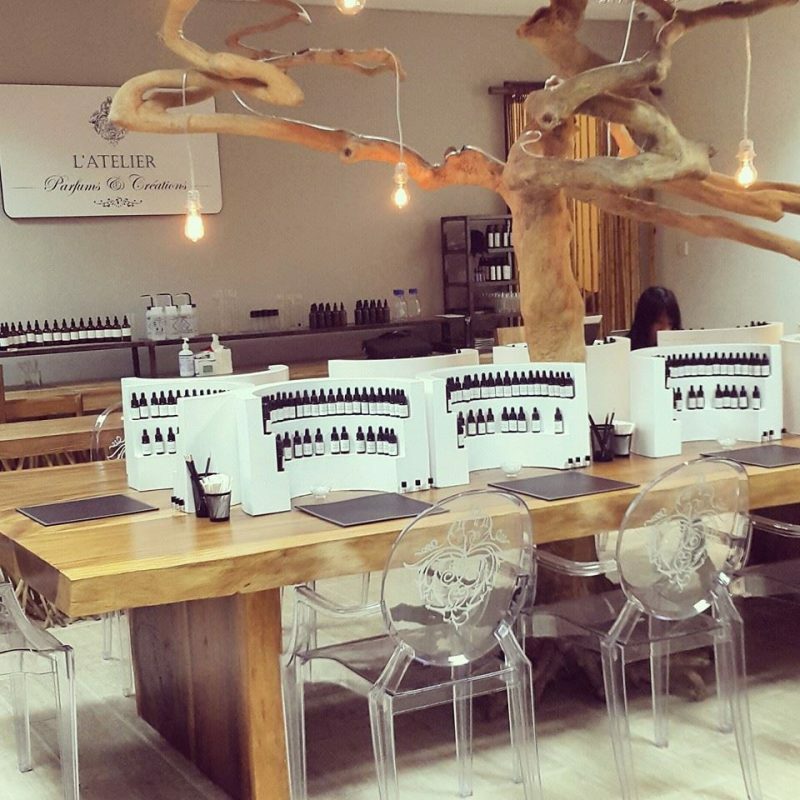 If you’ve ever wanted to create your own scents and fragrances, but never knew where to begin, you can look forward to workshops at the L’Atelier Parfums et Créations to do just that. Who doesn’t love chocolate? What’s more, who doesn’t love working on the fruits of your labour, then eating it immediately after? 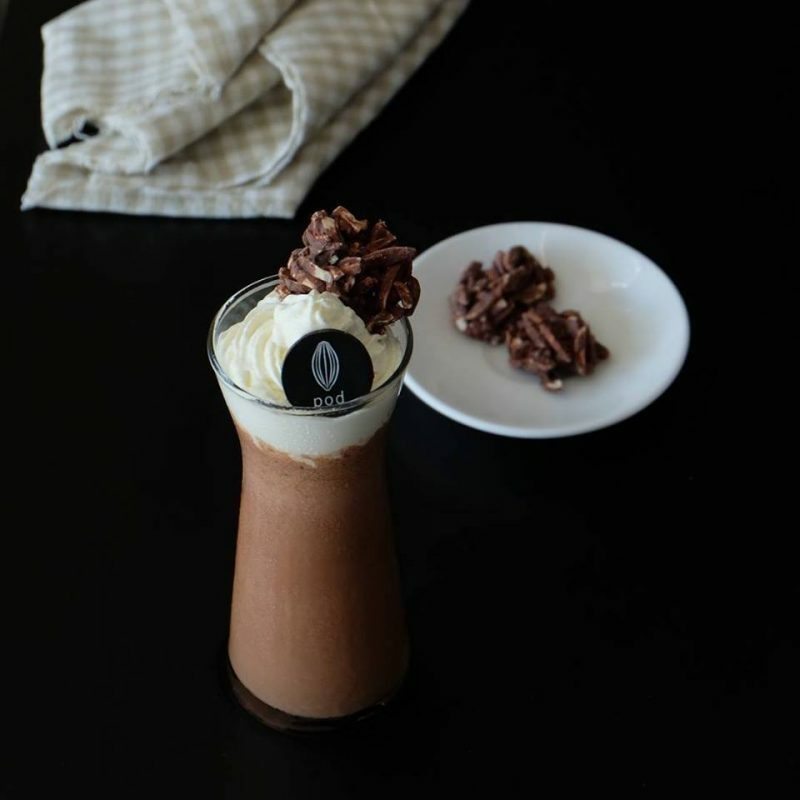 Create your own praline chocolate elephants as souvenirs from your Bali trip. Beauty lovers would be excited to discover that you’ll be able to make your very own face cream and scrub. 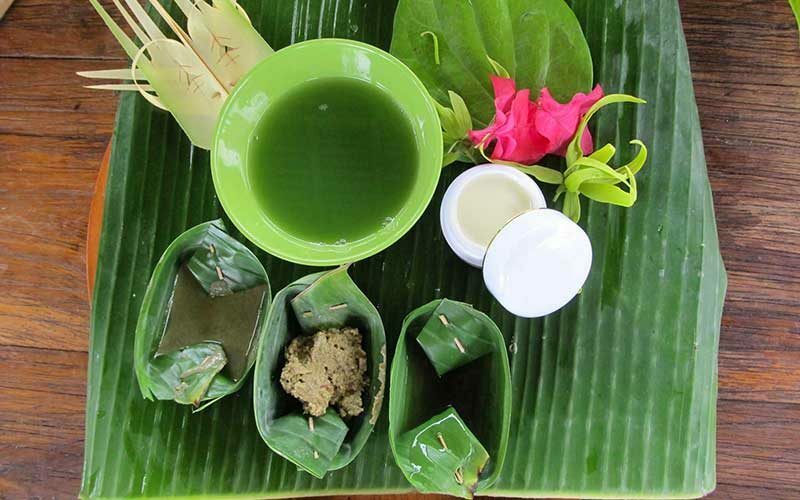 The workshop with Cantika Spa employs natural ingredients for your regimen. The highlight of your stay in Alila Hotel has got to be the infinity pool. 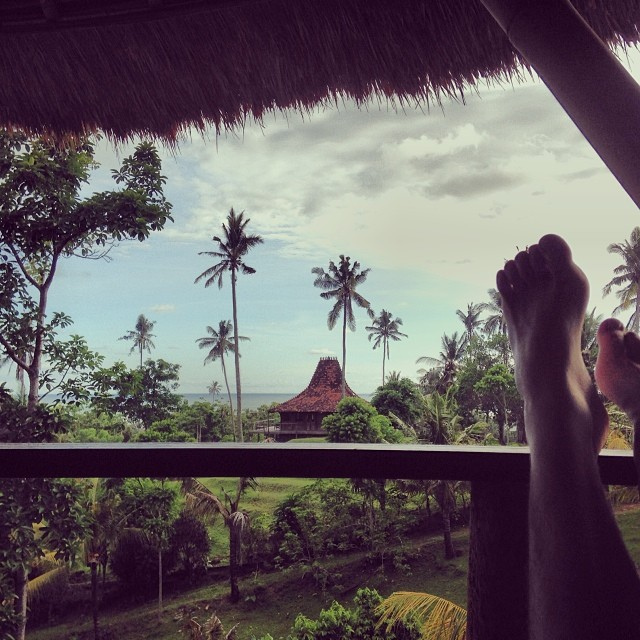 Overlooking endless expanses of green, this relaxing spot is one of those Bali activities you wouldn’t want to miss. You wouldn’t want to miss the view at the infinity pool at Pullman Bali Legian Nirwana, or simply Pullman Hotel for short. 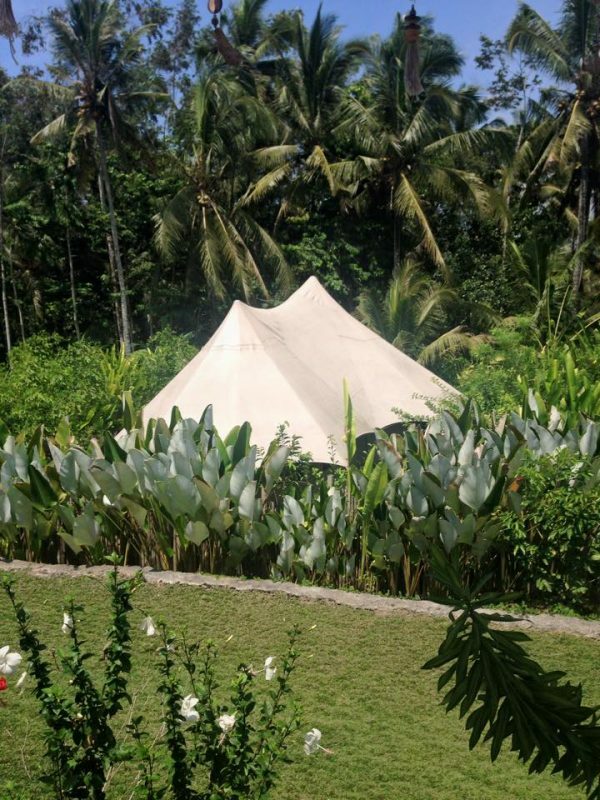 It overlooks a great view of the Legian beach – a must go for your any Bali tourist! Taman Ayun means ‘beautiful garden’, and it’s no wonder that the site was given its name. Built in 1634, the temple is rich in history, with traditional odalan ceremonies still being held every 210 days. 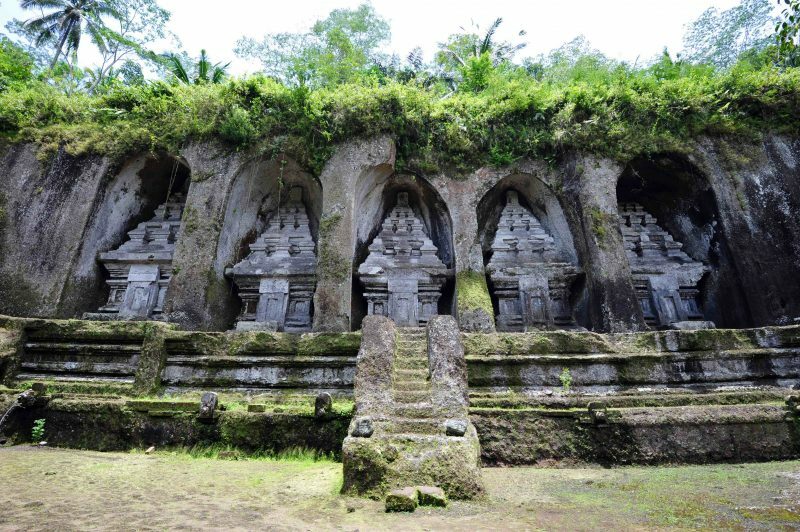 Pura Gunung Kawi houses ten beautiful shrines with complex, intricate stones carvings. 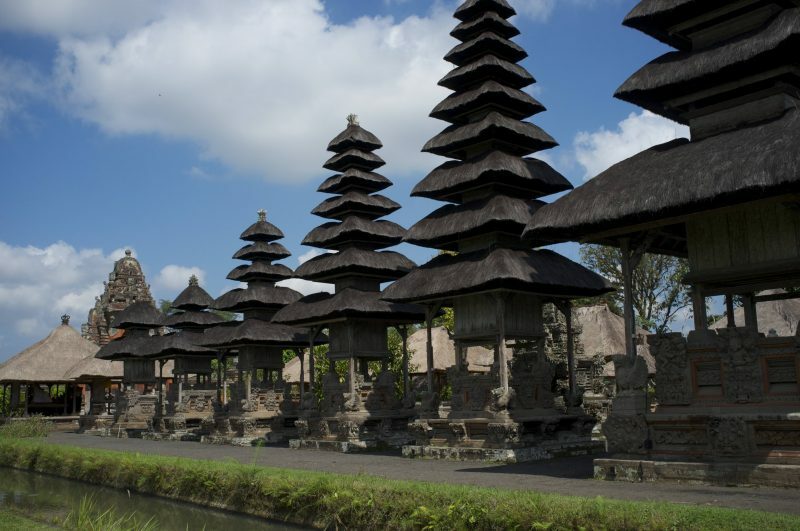 This funerary complex was built in the 11th century and one of the definite attractions in Bali. 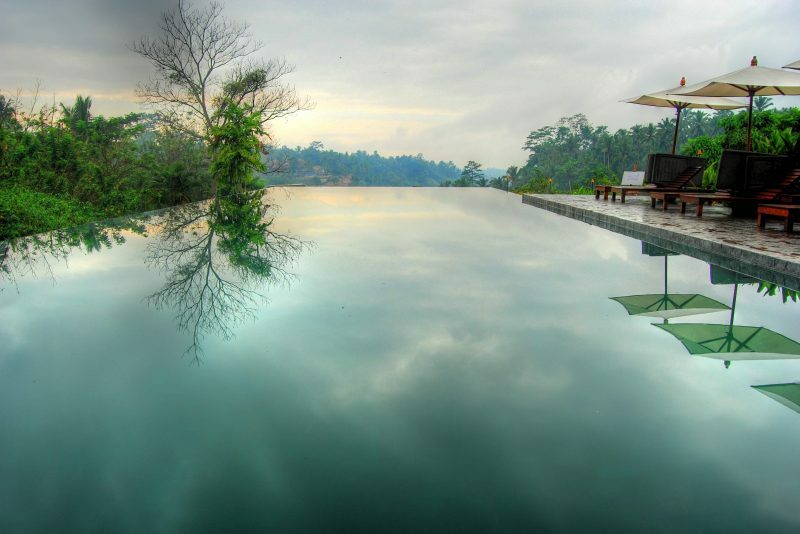 Situated amidst the slopes of Mount Agung, a 1000 metre hike up the mountain would bring you here. 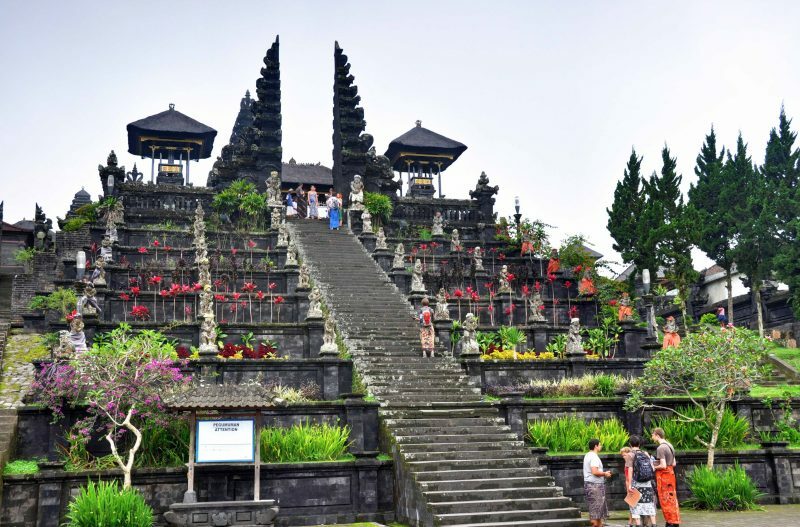 Pura Besakih features a six-storey high staircase for visitors to ascend. 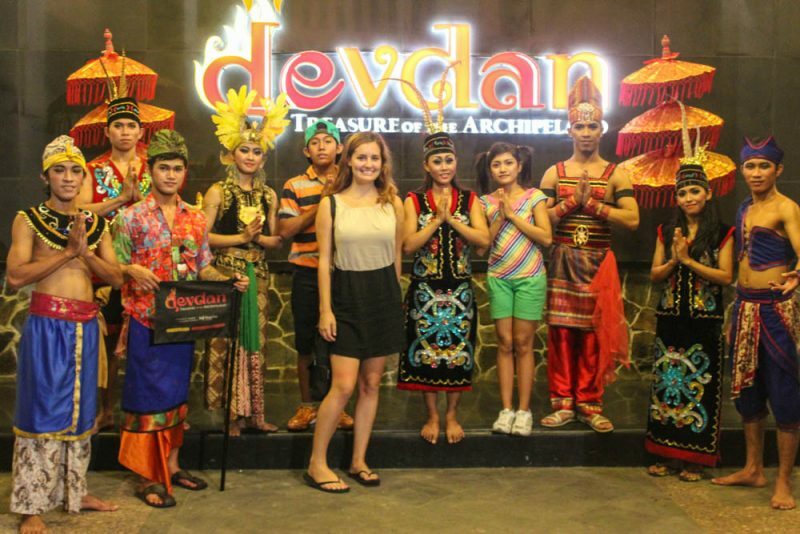 The Devdan Show offers a spectacular glimpse into all of the dance and music styles of each region. Be in awe of the performances from the Bali, Sumatra, Borneo, Java and also Papua regions. When visiting a foreign country, we are often inclined to bring back souvenirs from our travel, especially if it’s your first time in the country. 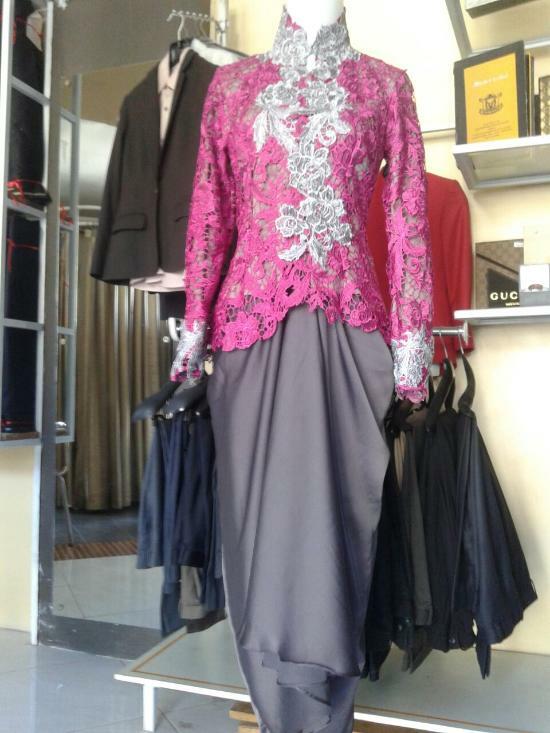 Why not get traditional Balinese wear tailored to your measurements? 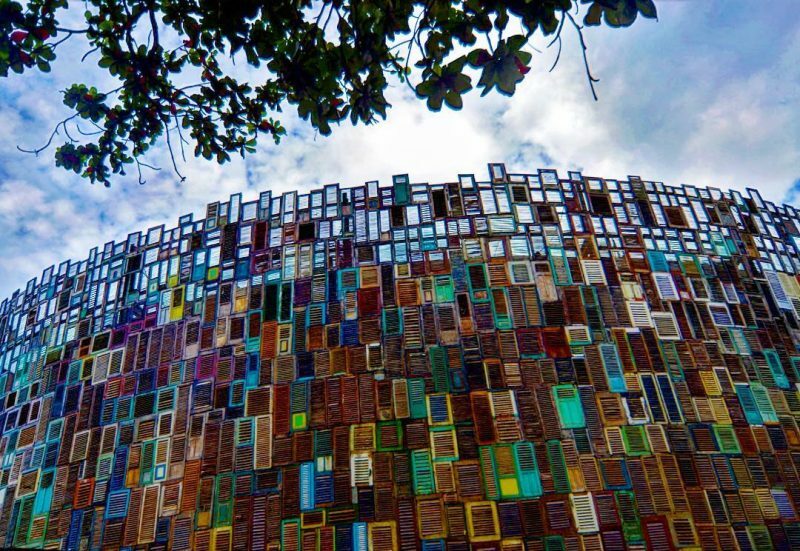 There are tons of other attractions in Bali that go beyond beaches and candlelit dinners? Be sure to keep your eyes peeled for lesser-known activities in Bali the next time you visit the island. Happy travelling! 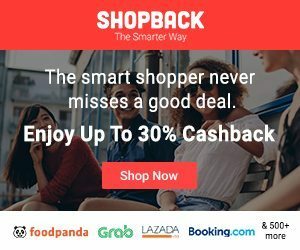 Travel to Bali now with ShopBack where you can save with the latest Booking.com promotions and many more!